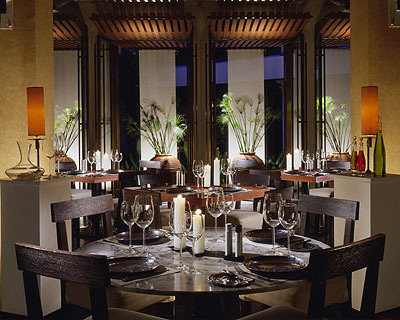 Fastly becoming Bankok�s premier business lunch establishment Biscotti is one of the finest Italian Restaurants in Asia. found in the city's fabulous Four Seasons Hotel, Biscotti maintains its own character with a bistro style and open kitchen, lending a casual Trattoria like feeling to the otherwise elegant surroundings. Specials change frequently and the dinner a la carte menu is flexible, in that most dishes are offered in starter or main sizes to suit. The Spicy Pepperoni Pizza and Black Linguine with Sea Scallops are good choices. Formal dining with a casual ambience.